It’s Friday night. The party is about to assemble for the first time (an epic moment, I know). However, before the adventure begins, I ask each player questions about their character and about my own world. As they put the finishing touches on their character sheets and sharpen their pencils, I bounce from player to player. Kristi’s elf rogue had a mentor, so I posit, “Kristi, what’s the name of Zara’s mentor, what did he do, and was his business shady?” She thinks, smiles, responds, and now she’s created a small piece of my world. I turn to Tom, who’s character almost perished at the hands of a demonic cult. “Tom, what’s this cult’s name, what do they worship, and who stopped them from accomplishing their vile task?” He looks up in the air, looks side to side, opens his mouth once, as if ready to respond, closes it, thinks a tad more, and then comes up with some awesome information. Tom is building the world, along with Kristi, the rest of the players, and me, the dungeon master. Many professional writers posit that the best stories focus not on the plot, but the characters within the plot. 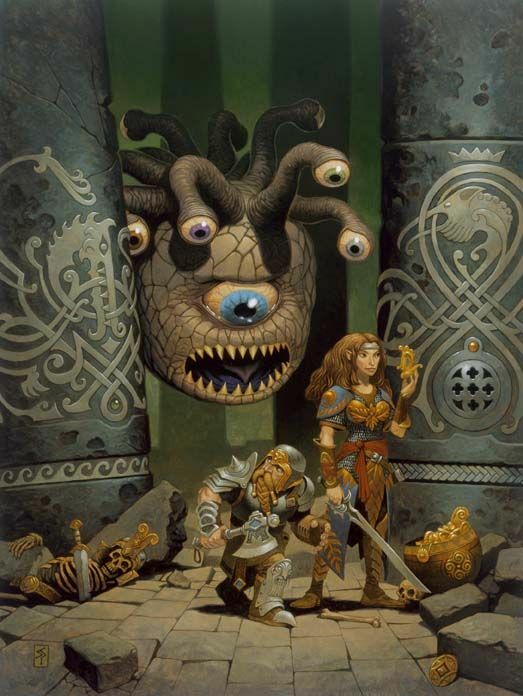 This can be repurposed for Dungeons and Dragons: The best campaigns focus not on the adventure, but the player characters going on the adventure. However, I’d take it a step further: The best campaigns focus on the player characters and are partially built by the players. I'm glad to be back to writing Legendary Lessons after my brief stint going over the big sections of Mordenkainen's Tome of Foes. Those articles were intrinsically different than these, and you can expect more of them in the future! However, this week, we’re delving into the topic of collaborative worldbuilding, and why working with your players to build a campaign creates a more satisfying story. Before we go any further, let me make this clear: Allowing your players to create bits of your world requires mutual trust. Luckily, this level of trust should be accessible by folks sitting down around a table, and, if it’s not, talk to your players about striving toward it. Remember, communication is key. Don’t let your distrust boil into anger; eventually, this could be the downfall of your group. It’s best to ensure that everyone playing understands that each person is at the table to have a fantastic and fantastical time. Once it’s clear that everyone is present to have fun, let them know the world everyone’s in is one of your creation, and you’d like to share the ability to create with the players as well. Alert them that this comes with a caveat: They MUST take the world seriously. If asked what perches on the decrepit gate, they MUST not respond with, “A living turd!” If everyone understands the tone, setting, and goal of the game, then you should be able to trust your players with what I’m about to go over. 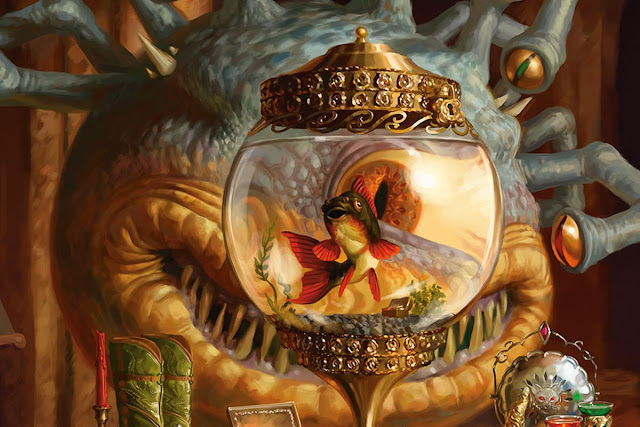 Thus, without further ado, let’s delve into the bulk of today’s article: Collaborating with your players both before and during actual adventuring. The first time you collaborate with your players to build something wonderful should be before the campaign or adventure begins. I’ve gone over this briefly in a previous article, but today, I’m going to dive into this dense and important piece of advice. The key to playing a fantastic campaign is setting a solid framework for the many adventures to come. Accomplishing this is easy, fast, and fun. The first step is contacting each of your players, and learn about the character they’d like to play. Once that’s done, write an email, call them on the phone, or send them a text message with a few questions within. Each question should relate to the campaign, their character, or the player’s preferences. In addition, it shouldn’t be too long, and you should encourage the player to put as much effort as they’d like into the questions. One sentence is as good as four paragraphs. With a little effort on their part, you’ll have a plethora of information to build on for your campaign. And, if you do this for each player, you’ll have an IMMENSE amount of possible plot hooks and NPCs to pull from. And the best part? They’ll feel as if they contributed to the world, and they’ll feel more connected to these specific plots and NPCs. They will have created collaboratively with you, and they will be more invested in your campaign. Confused? Not following? Want to just see an example? No worries, I have you covered. Let’s go through a quick example of this in action. I’m about to start a new campaign set in the Elemental Plane of Fire. I’ve alerted the party that they’ll begin aboard a slave vessel roaring across the Lava Sea, and asked each of them to send me brief character concepts. 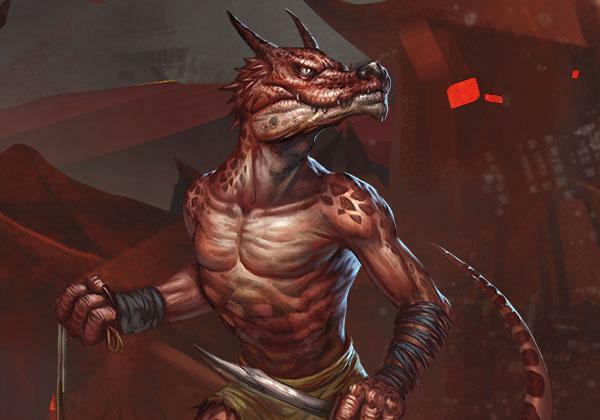 One of my players, named Guy Jr, sends me the following: I feel like playing a kobold warlock. I think he will have a fiendish patron, maybe a devil, and be from the Material Plane. In response, I’d message him the following: Awesome! Here’s a few questions I’d like you to answer before we begin the campaign to give me some ideas about how to connect your character to the campaign. Why are you a slave aboard this vessel? What is your patron’s name, appearance, and personality? How long have you been a warlock? Who is an ally you’ve made aboard this vessel? Where is this vessel currently sailing? Feel free to answer all or none of the questions with as much or as little detail as you’d like. If you think of anything else concerning your character, just message me! Ideally, he responds and I implement his ideas into the campaign. Then, we’re done. We’ve created together before the campaign has begun. As dungeon masters, we improv constantly while playing Dungeons and Dragons, weaving new parts of the world and story from absolutely nothing. Improvisation is exhilarating, challenging, and an experience that should be shared across both sides of the screen. Thus, I ask you to give your players the opportunity to create bits and pieces of the story while it unfolds before the entire table. Luckily, this can be used in a variety of ways with various levels of effect. Right now, let’s focus on two different strategies: Asking questions and giving them control. The first strategy is simple to conceptualize, but it’s a powerful and varied tool. The premise is as follows: During play, ask one of your players a question, and give them the freedom to answer it. What guards the fire giant stronghold gates? Who is the cult leader? Why is the rat swarm charging toward your group? 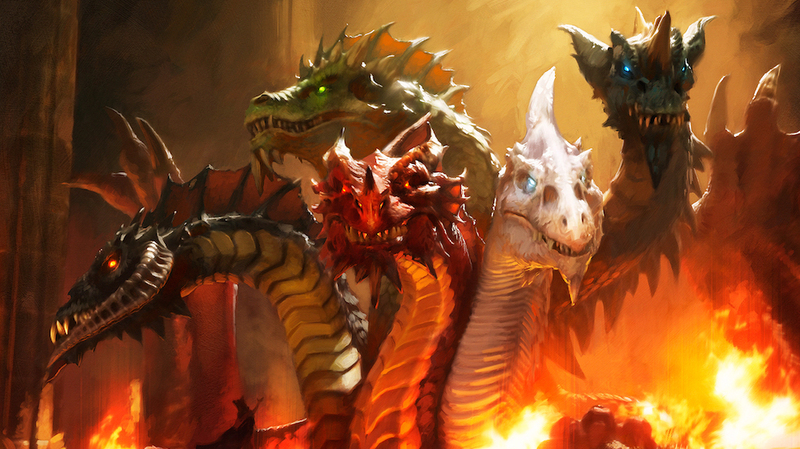 What type of sword sits in the dragon’s hoard? Regardless of what question you ask, using this gives players a sense of freedom and excitement. It gives them the chance to create a meaningful piece of the story other than their characters. Most of the time, folks seem to take the game more seriously, as well. If they’re building pieces of the story as it’s unfolding, it keeps them engaged and invested in the minute-to-minute gameplay, as well as in the long-term growth of their characters. The second strategy is a tad risky, but can lead to a ton of excitement. Basically, you hand your reins over to a single player, or a group of players, and let them portray characters other than their own. The players portray historical figures during a flashback session to an integral moment in your world’s history. A magical curse causes the character’s to switch personalities, but not bodies, forcing the players to portray a PC other than their own. 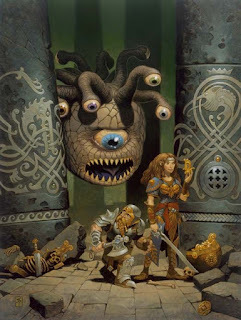 The dungeon master gives a single player a powerful NPC to portray, perhaps someone inherently related to their own character. Use this with caution! If your players tend to treat everyone fair, and understand the power you’re temporarily handing them, go wild. It can lead to exciting and unexpected story beats. Dungeon masters must trust their players as much as their players trust them. This bond must be established before the campaign begins. 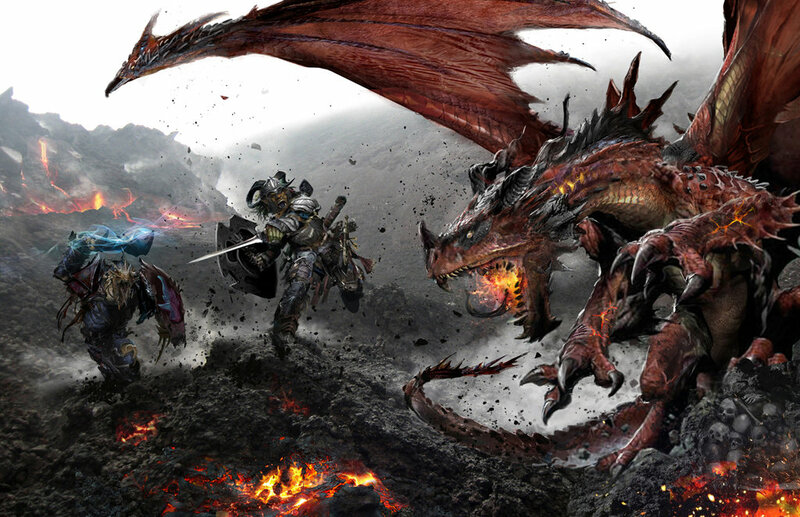 Don’t wait until the campaign is underway to let players build. Instead, do it during character creation. Challenge and excite players by allowing them to come up with story elements on the spot. What’s behind the smashed wooden door? Who murdered the king in cold blood? When does the potion of death take effect? The player is no longer Dani Dregon, the halfling rogue; she’s now Demetress Calas, an esteemed mage of the Seventh Spire with the power to decide the other PCs fate! The next time you play, try out some of these tips. Most of the time, your own players are the most valuable and evocative tools at your disposal. Use them. Collaborate with them. Create with them. Until next week, farewell, dungeoneers and dungeon masters!